Get FREE Updates via Email!!! Here's a very funny video about article content making vs. the real life -original content. So if you are planning to engage in article marketing and submit to various content websites like Ezine Article, I suggest that you follow their advice at the end of the video. So what can you say? Planning to write articles? It is very important that people within your niche can relate to your articles. You have probably heard the phrase “virtual real estate”. I am not referring about any games like that of owning a huge farm from Farmville or Farm Town. I am referring on your real estate where you earn an income. But this time, your real estate is inside the world wide web. I am referring to your website or blog. Though it is something that you own, you cannot touch it, you cannot hold it. All you can do is to control it. Your blog or website is your online asset where you can generate lots of income opportunities. It’s just something that you should not be neglecting. Yesterday, I posted about setting up a blogspot blog. Today, to ensure that you can maximize the income of your blog, I bring you the instructions on how to create a Google Adsense Account. But of course, it is up to you whether or not you will implement Adsense to your blog. Just remember that Adsense is a source of passive income. It may not make you that rich, but it definitely can bring you a fair source of passive income. Where can I find pre-designed blogspot templates? I don't want to make my readers hanging with the templates. Yes, everybody can customize their own templates now, but in case that you want to use other professionally designed free blogger templates, I listed the 5 good sources of these blogspot templates. Most of you probably know this already but I just want to make sure that those of you who visit this blog will really get what they need so I posted here how to set up a blogspot blog in Blogger.com. Domain name extension doesn’t really matter in ranking well over the search engines. However, there are several factors that will affect your blog concerning domain extensions. There is a new domain name extension, “.co” as to "www.yourdomain.co“. Accompanied with it is a discussion to whether or not it is a premium domain extension or not. I frequently read ebooks, reports, and blogs about internet marketing. And there are five pieces to create a good money magnet that all internet marketers and bloggers agrees on. Of course, my short list is a huge topic to discuss, but I assume that in one way or another, you are very familiar on what the following money magnet is about. 1. Valuable Content – “Content is the King” of blogging and website making. This is undisputable truth of any online marketing. Content attracts traffic, builds credibility and increase the possibility of your monetization. Valuable content is friendly to both the search engines and the real people. They just simply dive into your content and read what you have posted and place a comment as long as it is relevant. This is the foundational element in making money magnet online. Paypal is probably the largest and the most well known online payment company. And I have here the list of Philippine bank codes that you need in connecting your bank to Paypal. You will definitely need paypal if you are an online marketer or an online business owner, maybe a blogger or webmaster. If you don't have one, kindly open a paypal account for you will be needing this in your future online transactions. Last time I posted some tips on things to focus to make your blog earn. Today, I will give you five main reasons why blog fails to earn. Perhaps some of you over looked these things. But that’s ok. All of us are probably offenders in one or two of these things. Blogging needs a lot of disciplines to perfect the method and multiply it hundreds of times. Now let’s go to these barriers of success. Who Else Wants a Blog That Earns? Most people who want to have a blog probably desire to have a blog that earns income. Though laborious, blogging for profit is pretty much doable. It is not too complicated to work on but it is doing repetitive profitable actions. In my two years of blogging experience, there are only about 5 proven ways to really build up a blog that earns for a longer period of time. It is very important for any blog to have one central theme, a topic where everything you post will revolve around it. Keeping this will put your blog in a more favorable situation in search engines. However, many bloggers struggle in working on one single theme. Most fell into the temptation of creating a whole new topic apart from what was decided earlier. This is very true especially if you are not really familiar or you are not the expert of that particular central topic. It is very important therefore that we need be at least highly knowledgeable to the central theme of our blog. Being around the net for a couple of years now has opened my eyes in a deeper view of what a blog could do to a business. As I scanned hundred of blogs (maybe close to a thousand blogs now) for the past two years, I have probably seen all kinds of different blogs. There are blogs that were used as a literal “Dear Diary” journal, others use their blog to speak about their cause, others to give news, while others use it to boost their business, while still others made blogging as a business. In our previous article how to make money on your blog, I mentioned about affiliate marketing. Affiliate marketing is simply selling some other people’s product. Once a sale is done, a commission will be credited immediately to the affiliate’s account. An affiliate is simply the one selling the product of others for commissions. To have a wider view on this, simply put this in this way, imagine yourself selling some products like Avon, or Amway, or Ganoderma etc. These products were products of others. We call this kind of monetization model in the offline world as networking. The rule is very simple, you apply for the company as a member of their sales force, and then you sell where you get commissions when a sale is done. There are lots of money making models that you can do on the net. However, if you live in the Philippines, online money making is a little bit limited. This is why we will only tackle money making models that are proven to be working even if you are living in the Philippines. Some consider blogging as a hobby, while others consider it as a business. But why not consider it to be both? Your hobby can be a good start of business. And this is where blogging comes in. Your world maybe turning upside-down for having hundreds of Blogger Templates to choose from. You know you need to choose the right template that will reflect your theme, your attitude and personality. To make it easier for you to choose, you need to ask the right questions to yourself to arrive in a smaller number of options for a template. But before that, let us review first what a template is and what a theme is. Have you ever tried posting a code in blogger like java code or something like a link code using plainly the code tags to be copied and paste by your readers? Have you seen anything happened? Most probably you didn’t see anything appeared on the post, and probably you are also getting error messages from blogger. Posting a cut and paste code in Blogger though it’s not that easy to do, yet it’s not too complicated to work on. Let us go ahead and understand first what is happening why it is not appearing on the post. When it comes to your blog, extra attention should be paid to every minute detail to make sure it performs optimally to serve its purpose. Here are five principles to observe to make sure your blog performs well. Splash pages are the first pages you see when you arrive on blogs. They normally have a very beautiful image with words like "welcome" or "click here to enter". In fact, they are just that -- pretty vases with no real purpose. Make your visitors want to click through your site and not the back button! Give them the value of your blog up front without the splash page. Previously we added meta tags in the homepage of your Blogger blogspot blog. Today, we will add another set of meta tags. Please, do not miss the note at the bottom of this instruction. 1. Login to Blogger account. Today we will be learning how to add Meta Tags on your Blogger blogspot blog's home page. This will also be the first of our series in optimizing your blogger blogspot blog. What In The World Are Meta Tags? Meta tags are html tags that is being read by the search engines as they rank the pages of your blog. It is very important in the sense that they are the one that is telling the search engines to rank your this particular page higher in particular keywords. Blogger is almost totally different from Wordpress. Blogger templates are usually in xml code formats while Wordpress is composed of php’s and plugins. But basically, both of them have the same requirements to be considered as a good theme. I already used several Blogger themes that you can find over the net. But finally, I decided to modify my own theme to fit my wants and needs. And at the same time, I tried to list the characteristics of a good blogger blog. Below is my short list. Search Engine Friendly – One of the most difficult decisions that you will have to decide is to whether or not you will choose a beautiful fancy template or a minimalist template. Unfortunately, most beautiful fancy templates are not search engine friendly. This blog is a portfolio of knowledge about Money Making Online and Blogging. 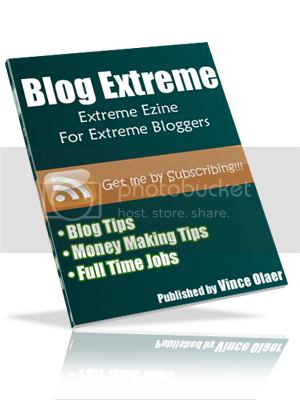 It is full of tutorials and helpful tips on successful blogging and making money online. To start with, I highly recommend that you read 31 Days To Make A Better Blog.